been used for millennia to lower blood pressure, improve digestion, and boost the immune system. It is alkaline-forming, simple to brew, and extremely inexpensive. Kombucha is a simply combination of tea, sugar, water, and starter culture which has been used for thousands of years dating back to the Tsin-Dynasty in 221 B.C. – a Chinese Empire – where they called it “the remedy for immortality.” It was later brought to Japan by Dr. Kombu to treat the Japanese emperor, Inkyo, for digestive problems. 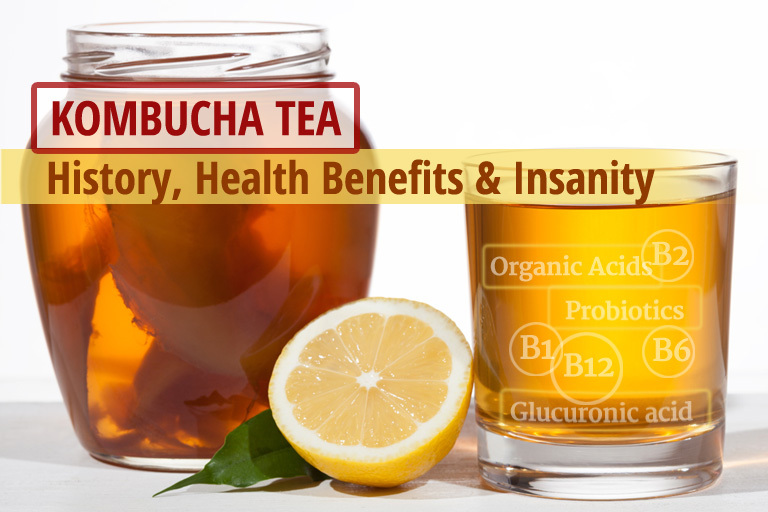 Numerous scientific studies have shown that kombucha tea helps populate the intestines with probiotics (beneficial bacteria), enhances the immune system, fights off deadly pathogens and protects vital organs. 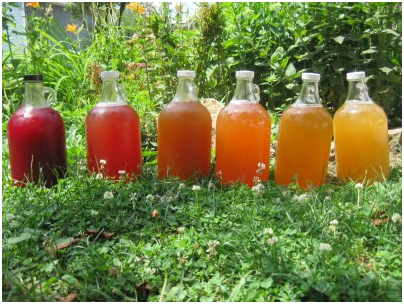 A 2011 study published in the journal “Pathophysiology” found that kombucha protects liver cells, while another study from the June 2012 issue of Food Science and Technology asserts that kombucha “has prophylactic and therapeutic properties” including anti-microbial, anti-bacterial, and anti-fungal effects. Like yogurt, kombucha contains healthy bacteria in the form of lactobacillus acidophilus and a dozen other probiotic strains. It also has a wide range of organic acids, enzymes, and vitamins (particularly B1, B2, B6 and B12) that provide the body with energy and help process fats and proteins vital for the nervous system. Interestingly, when kombucha tea is made correctly, all the sugars are fully converted into organic acids during fermentation, enabling kombucha tea to be safe for diabetics and those with candida. You may have heard the story of a Newport, California elementary school boy being suspended for taking a bottle of kombucha tea to school in 2012. Apparently, the “lunch brigade Nazis” were able to see through the genetically modified corn muffins and pink-slime chicken nuggets when they noticed the “dangerous” bottle of kombucha tea and reported the boy to the vice principal, who in turn called the police claiming that kombucha violated the “no-drugs-no-alcohol” policy allowed in school. The boy was then interrogated for several hours by a police officer (without parental notification or legal representation) who ignorantly and incorrectly told the boy that kombucha was illegal and dangerous to mix with medicines or antibiotics. The boy ended up spending the entire day in the school office and then was suspended for 5 days for violating the school’s drug and alcohol policy. While kombucha does contain 0.5% ethanol alcohol, it is classified as non-alcoholic. Plus, the alcohol produced gets converted into acetic acid. You may also remember the FDA calling for kombucha to be removed from store shelves claiming it contained alcohol. Of course they failed and kombucha is still available at many health food and grocery stores, and can be purchased by any one in the US! What will they go after next? Yogurt? Sour Kraut? Apple cider vinegar? I was wondering the same thing. Good question. Bring 2 quarts water to boil. Add sugar and let melt, then add tea bags. Boil for 5 mins then allow to cool to room temperature. Wash bottle and rinse with vinegar and hot water. Place cool tea mixture in bottle and add scoby. Top up bottle with cool filtered water to make one gallon. After 7 to 10 days a new scoby will grow and the liquid becomes Kombucha! Cover jar with paper coffee filter and secure with elastic. Caution: be careful – fruit flies WANT your tea too!! I have used this tea since around 1995 – YUMMM! 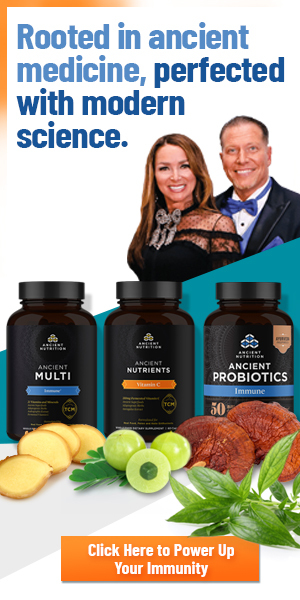 We bought ours on Amazon, but since brewing our own now for 8 months we have found that certain health food stores sell them to and now that Kombucha is gaining more popularity you can find them more readily. We did most our research online. 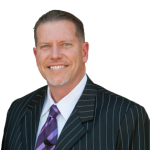 Maydee, the article describes what happens to the sugar? would it be beneficial to use honey instead of white sugar. As per the article, correctly brewed kombucha will not contain sugar. Sugar is added at the very beginning, but it is consumed by the beneficial yeast and bacteria 🙂 You can tell your kombucha is finished brewing because it will taste vinegary, not sweet. 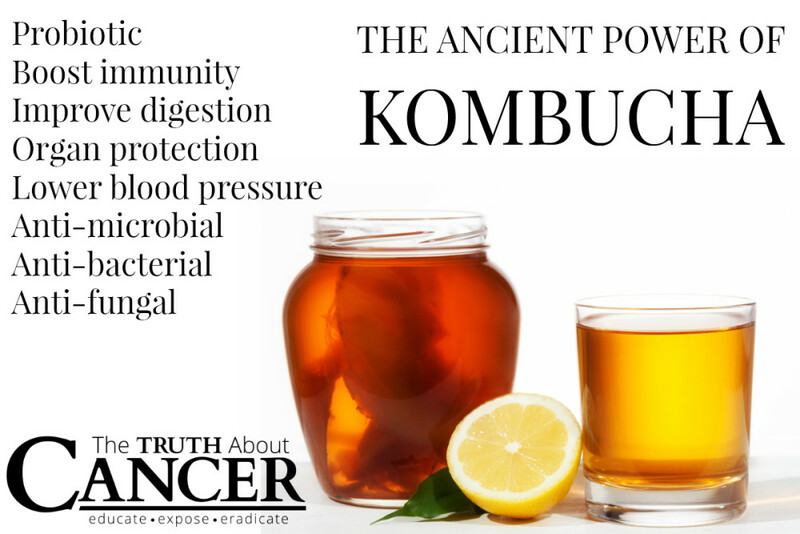 since I have cancer for a second time i think it is time to try new treatments with the old, Kombucha sound very interesting …I have read a lot on the process of making Kombucha Tea ..the side effects can be more dangerous than Cemo or radiation ..